Former Chief Justice of India, Sarosh Homi Kapadia passed away today, leaving behind a legacy of unshakeable integrity and unparalleled compassion. The cremation will take place today at 3:45 pm at Tower of Silence at Walkeshwar, Mumbai. Justice Kapadia was born to a genteel, lower-middle class Parsi family in the area of South Mumbai, on September 29, 1947. His father was a clerk in a defence establishment and his mother a housewife. While a good higher education seemed to be a luxury then, seeds of ambition to become a Judge gained momentum when he arrived at the plush law offices of Behramjee Jeejeebhoy in the Fort area of Mumbai in the early 1960s. He had joined the firm as an office help to add to his family’s income. “Even before Sarosh had started studying law, he was determined to write competitive exams and rise up to becoming a judge one day. It just feels great to have him as the Chief Justice of the country today,” recalled Stenographer Perin Driver to The Sunday Express when Justice Kapadia was appointed as the Chief Justice of India. Staying true to his sense of responsibility, Justice Kapadia applied for his license to practice law only when he was 27, after he was sure that he earned enough to support his father and finance his younger brother’s education. He joined Gagrat & Co, a law firm as a clerk, and later went to work for highly respected labour lawyer Feroze Damania. “We used to sit across the same table in Damania’s office and the first thing that comes to my mind when I think of those days is Justice Kapadia’s single-minded focus on whatever he was doing. He was determined to become a judge one day and he worked towards that,” Mr. Jamshed P. Cama, Senior Advocate, Bombay High Court was quoted as saying. It was at this time that Justice Kapadia showed keen interest in Buddhist and Hindu philosophies, especially in the teachings of Ramana Maharishi, Swami Vivekananda and Ramakrishna Paramahansa. He was a frequent visitor to Belur Math on the banks of the Hoogly in Kolkata. Justice Kapadia was appointed as an additional judge of the Bombay High Court on 8 October 1991 and on 23 March 1993 he was appointed as a permanent judge. 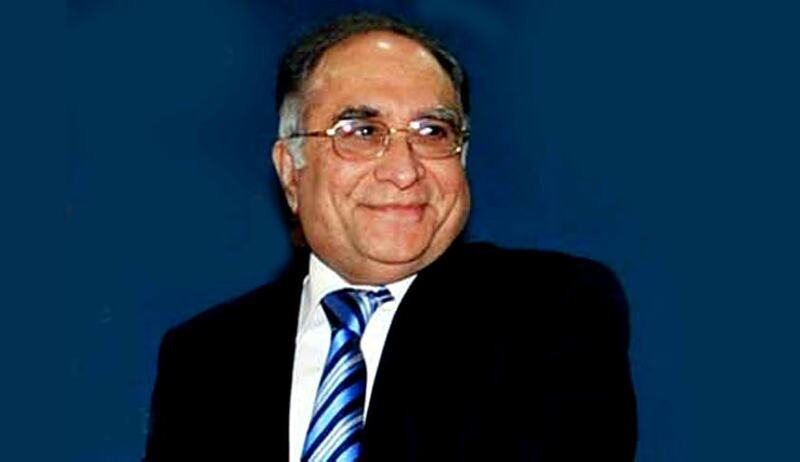 During his tenure as a judge on the Supreme Court and previously on the Bombay High Court, Justice Kapadia worked on several cases related to finance and taxation. ForbesIndia recounts Justice Kapadia’s reluctance to leave Court room number three on the ground floor in Bombay High Court, despite the general tradition of the Judges moving up the courthouse building as they rose in seniority. This, as disclosed later, was because he often ended up in court room number three during his early years as a low-grade employee, when lunch was a small cone of roasted chana, but aspirations were to feed millions being starved of justice. During his tenure as a Judge of the Special Court established under the Trial of Offences Relating to Transaction in Securities Act in 1999, he played an important role in the proceedings of the Joint Parliamentary Committee constituted to investigate the 1999 Stock scam involving broker Ketan Parekh. On 5 August, 2003, he was appointed as the Chief Justice of the Uttaranchal High Court. Barely four months later, he was elevated as a judge of the Supreme Court. However, a short time span of four months was enough for him to leave a mark on the functioning of Uttaranchal High Court. According to B.D. Kandpal, Senior Advocate and former President, Uttarakhand High Court Bar Association, Nainital, Justice Kapadia was made the chief justice of Uttarakhand at a time when most of the High Court Judges were there on a temporary basis and the hearings were very irregular. “But once Justice Kapadia took over, he set the court timings that continue to this day. He also made it a point to fast-track pending cases,” recalled Kandmal. During this tenure as a Supreme Court Judge, he was involved in a total of 834 judgments and orders, having authored 262 of these. His era witnessed severe assaults being pulled at out-of-turn mentioning of cases and Bench hunting. He displayed a no-non sense attitude towards corruption and came down heavily on those striding on the wrong side of law. Perhaps the most memorable judgment to have sprung from his intellect will be the one in Vodafone International Holdings v. Union of India, where he held that Indian tax authorities did not have territorial jurisdiction to tax offshore transactions. In another valiant stance in 2006, he refused to entertain an appeal by Lalu Prasad Yadav in the Fodder Scam. In M. Nagaraj v. Union of India, he was a part of the Constitution Bench which held that each state will have to show the existence of compelling reasons, namely, backwardness, inadequacy of representation and overall administrative efficiency before making provision for reservation. It was also held that the state is not bound to make reservations in promotions. On March 3, 2011, a three-member bench headed by Kapadia in Centre for PIL & Anr. v. Union of India & Anr., quashed the appointment of Chief Vigilance Commissioner, P.J. Thomas, made by the High Power Committee comprising Prime Minister Manmohan Singh, Home Minister P. Chidambaram and Leader of Opposition Sushma Swaraj (dissenting). In Confederation of Ex-Servicemen Associates and Ors. v. Union of India, he was a part of the Bench that ensured ex servicemen and their dependents of their right to receive full and free lifelong medical care, provided a one-time contribution is made to ECHS. So strong was his willingness to learn and deliver only honestly, that he did not shy away from turning the Court into a classroom while hearing a case involving limestone mining in Meghalaya’s East Khasi Hills by Franco-Spanish cement company Lafarge Umiam Mining. On realizing that he did not know enough background, Justice Kapadia had urged Senior Lawyer Harish Salve to brief the Court on the history of environmental jurisprudence. He was a part of the nine Judge bench in I.R. Coelho v. State of Tamil Nadu & Ors., wherein the Court held that the Constitutional validity of the Ninth Schedule laws could be adjudged by applying the direct impact and effect test, which requires that it is not the form of a law, but its effect, that would be the determinative factor. In BP Singhal v. Union of India, he was part of the Constitution Bench that interpreted Article 156 of the Constitution to hold that even though the Governor holds office at the pleasure of the President, he cannot be dismissed arbitrarily or if his ideologies do not match those of the government in power. While his professional tenure was largely spotless, he had his detractors as well. It had been alleged by a few that former Chief Justice of Delhi High Court A.P. Shah had not been elevated to the Supreme Court, because of Justice Kapadia’s bias against Justice Shah, though the truth of such allegations has not been proved. Justice Kapadia’s humble demeanor never allowed him to renounce his roots and he acknowledged them soon after he took over as the Chief Justice of India, in a letter to Justice V.R. Krishna Iyer. “I come from a poor family... and the only asset I possess is integrity. Even as a judge of the Supreme Court, I have used my knowledge of accounts and economics for the welfare of the downtrodden, including tribals and workmen. I hope to fulfill my obligation to the Constitution in the matter of achieving the goal of inclusive growth.” he wrote. Justice Kapadia has indeed left behind an illustrious legacy, one which only very few have and would dare to tread on. His legacy will never be forgotten, for he reignited the common man’s flickering flame of faith, his inked scepter shadowing protectively over the rule of law. May his soul rest in peace.